Your address will not be shared with outside parties or used for any other purpose than to respond to your request. 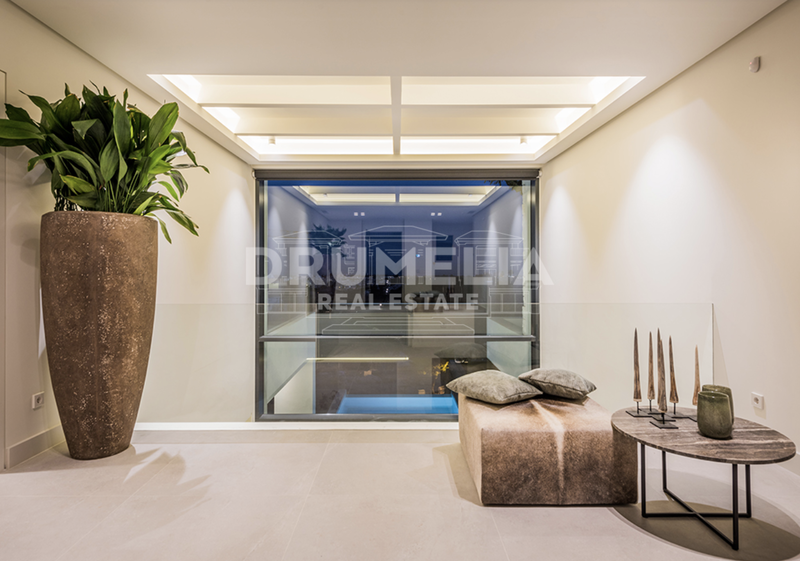 In compliance with the provisions of the Organic Law 15/1999 on Personal Data Protection, DRUMELIA REAL ESTATES, S.L. 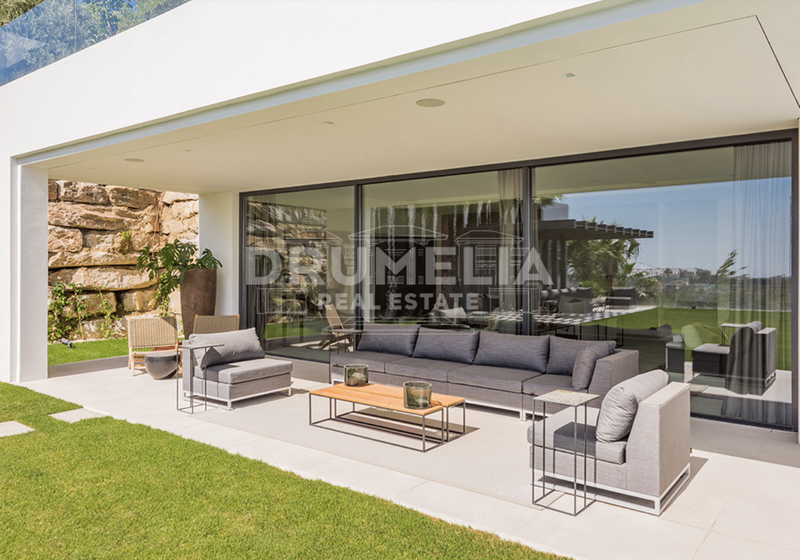 informs the user of its websites that the personal data obtainedby the company by means of the forms contained in said websites, will be included in a file, which DRUMELIA REAL ESTATES, S.L. is responsible for, with the purpose of accomplishing, expediting and fulfilling the agreements set between the parties. Want to move from boring and clichéd to contemporary and fresh? 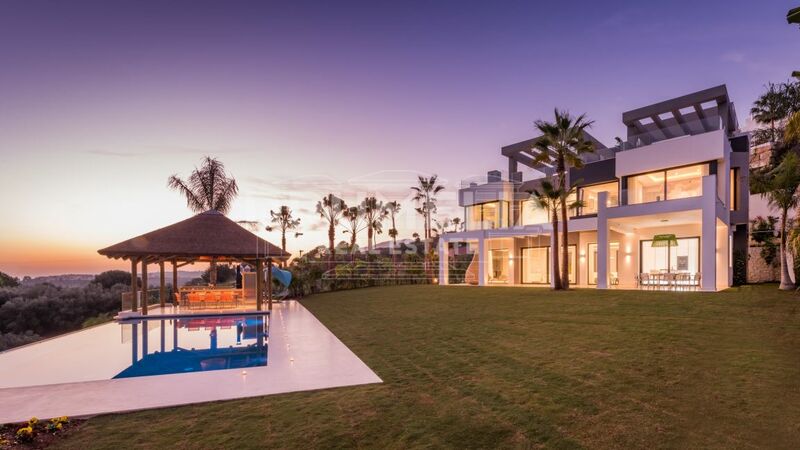 Built according the latest European standards, with materials of premium quality, innovative technology and fashionable modern design this villa with spectacular panoramic views over the Mediterranean Sea towards Africa, pretty golf course and mountain scenery is probably what you need. Entering the plot, you will find a covered area for two cars and the main entrance. 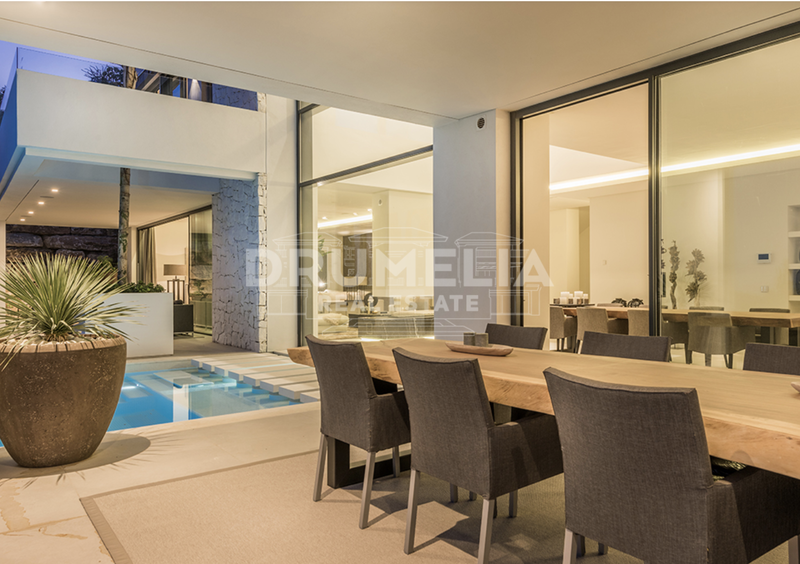 The ground floor of 150 m² offers a spacious open plan living and dining area with high ceilings (3 m. and a double high ceiling in front of the pool), floor-to-ceiling windows and sliding doors giving access to covered terrace, a fully equipped trendy design island kitchen and cloakroom with Miele appliances, a guest bathroom and wardrobe. 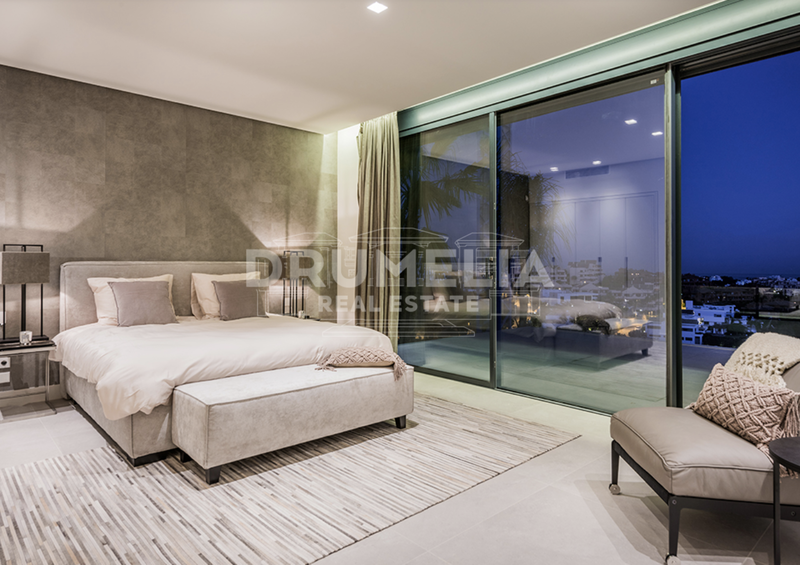 Providing breath-taking views through panoramic windows, upper floor features Master suite and 3 more bedrooms leading to the balconies with spectacular views, all with bathrooms en-suite with high quality sanitary items by Italian & German brands. 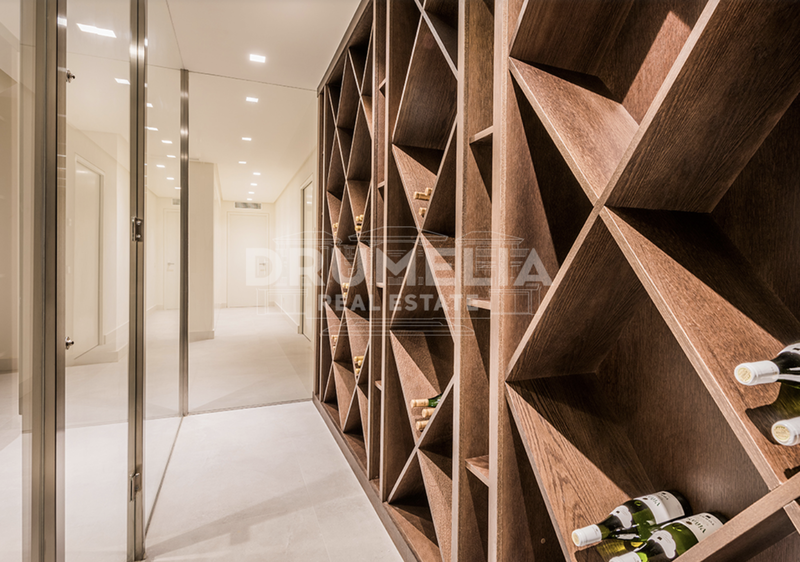 Lower floor houses a stunning glass separated wine cellar with wooden shelves, guest room with bathroom en-suite and a multifunctional room which can be easily converted into wellness centre, gym, home cinema or extra bedroom. Technical rooms have separated access from outside. 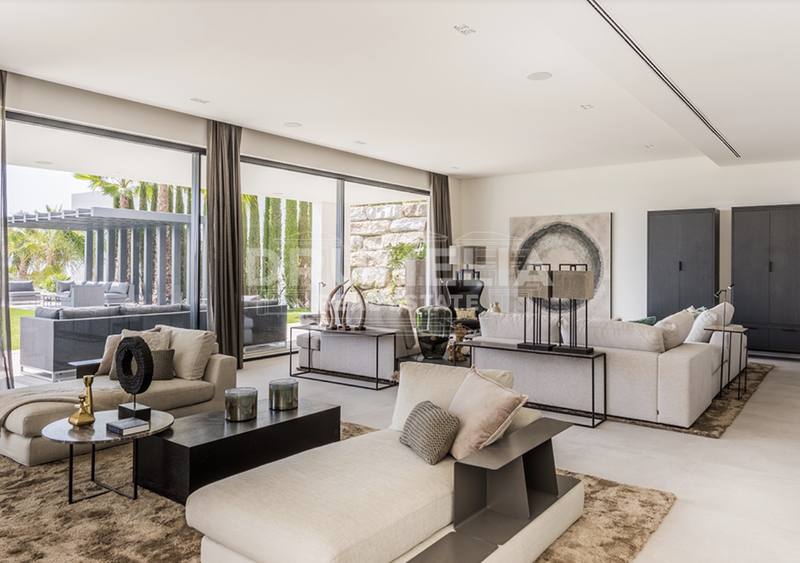 Eco-friendly property boasts solar powered energy system and hot water circulation pump, LED RGB lighting and automatic water treatment of pool, electronic controlled Bandalux sunscreens on double high window. 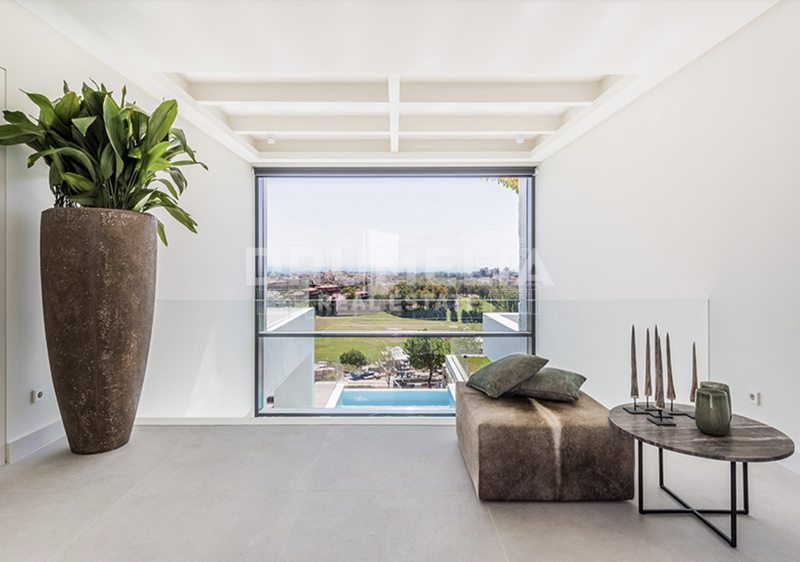 Wonderful terraces of 111 m² of elegant design have highly efficient glass railing. Top quality and secured aluminium double-glazed windows, oversized Italian ceramic tiling interior & exterior areas, underfloor heating, air conditioning with individual controls in all rooms, eye pleasing noble colour palette, spectacular interior and exterior architectural lighting, excellent interior carpentry, Domotics and sound system by Sonos connected through Apple HomeKit, alarm system – everything makes the exclusive property perfect for luxurious lifestyle. 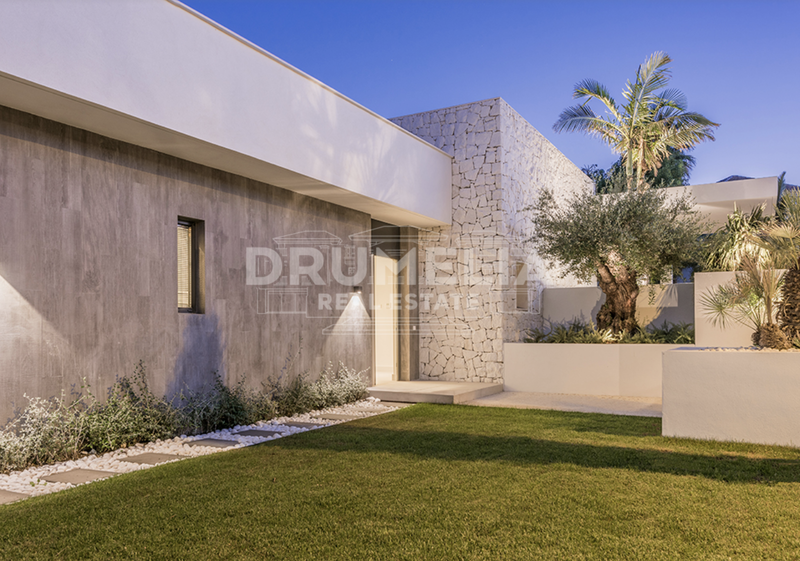 Fabulous house of 711 m² is set on 1.505 m² plot, considered one of the best in La Alquería, with infinity pool of 51.30 m², solarium, pergola area, modern style landscaped gardens with different levels on the slope. 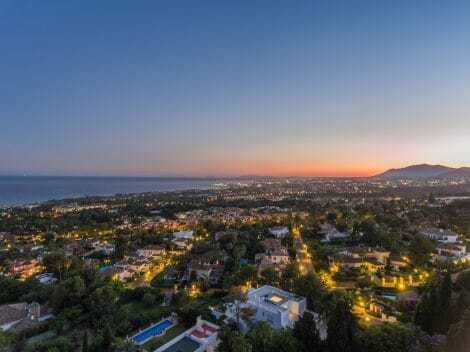 This area offers all the best aspects of Costa del Sol living – peace and privacy reign in the midst of its stunning natural surroundings, but with the glamorous and sophisticated attractions of Puerto Banús just a few minutes away. 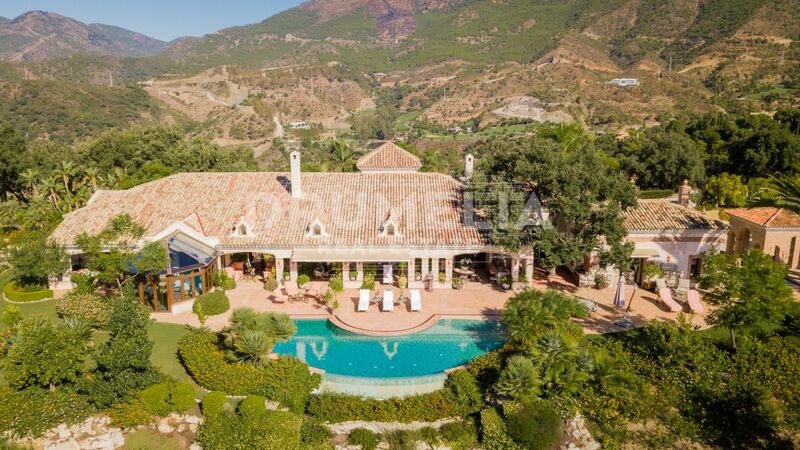 Alquería has a local supermarket, international schools, sport facilities and is near the picturesque gourmet-village of Benahavís. 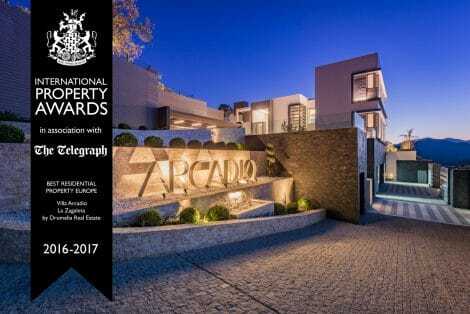 The “Oscars” of the Real Estate World – The International Property Awards. 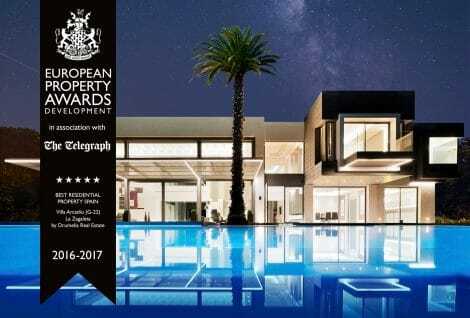 Villa "Arcadio" in La Zagaleta wins the "European Property Awards Development"